Fluent B2 (or upper-intermediate) is worked out for students who have successfully completed a course “Intermediate”. 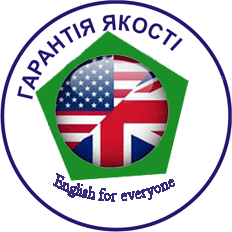 The programme of the course comprises studying all the rules of English grammar, more spoken topics. After completing this course, students can start preparations for international exams, such as IELTS (International English Language Testing System), FCE (First Certificate in English) or TOEFL (Test of English as a Foreign Language). You can complete this course B2 for 80 academic hours. One can understand complicated phrases and expressions, and can understand key concepts of an opponent’s argumentation on the condition that the topics are familiar. One can understand a majority of television programmes. One can understand key concepts in films where main characters speak British variant of the English language. One can read articles and news coverage where the author expresses their position or demonstrates a certain attitude. One understands modern literature (mostly abridged one). One can talk freely without language barriers which enables spontaneous communication with native speakers. One can participate in discussions in a familiar context weighing and arguing their point of view. One can give a clear and detailed description of a wide range of topics. One can explain a point of view concerning a certain matter, give grounds for advantages and disadvantages of a certain state or a situation. One can write a detailed text on a wide range of topics. One can use a creative approach to essay writing, report on a certain event, give a written argumentation of pros and cons, thus, expressing a point of view. One can write a letter emphasizing a personal importance of events and life experience.